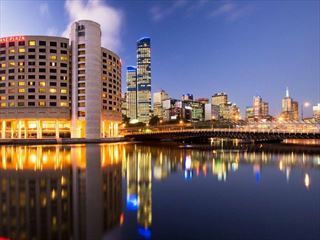 Arrive in Melbourne and transfer to the hotel for check-in. After meeting with your tour guide and group, enjoy a welcome reception aboard the Colonial Tramcar Restaurant, roaming the streets of the city while you dine on seasonal dishes and local beers and wine. 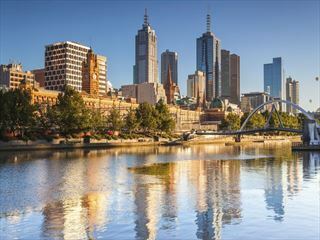 Take in the sights today with a private walking tour through the city – the remainder of the day can be spent as you wish, making the most of Melbourne’s wonderful shops, galleries and cafés. On day 3, explore at leisure with a full day of free time. 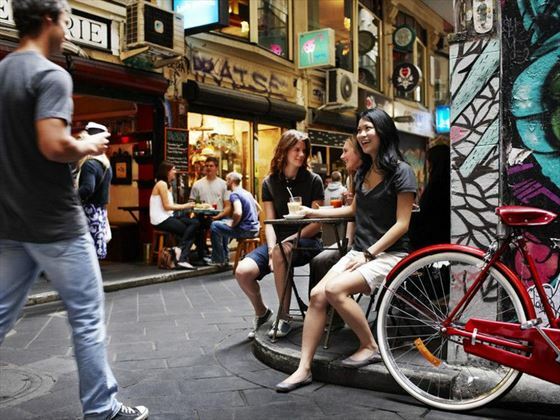 This amazing city has so much to offer in the form of museums, markets, restaurants and parks. If you’d like to explore a little further afield, why not take a trip to the famous Penguin Parade on Phillip Island where you can watch penguins march along to their nesting sites. 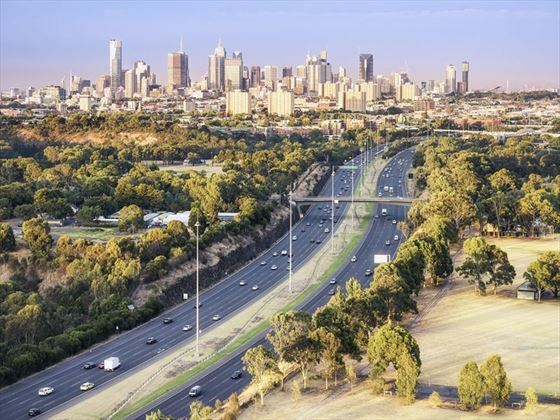 Alternatively, you may prefer to take a ride along the Great Ocean Road to see the Twelve Apostles or visit the Yarra Valley’s wineries. Fly to Alice Springs in the morning and visit the Royal Flying Doctor Service upon arrival, to learn how this amazing facility operates to provide safety to people traveling in the outback. Afterwards, visit the School of the Air which provides education to children living in remote areas. Following these insightful facilities, you’ll take a trip to the historic Telegraph Station before enjoying a BBQ dinner at the Earth Sanctuary World Nature Center. 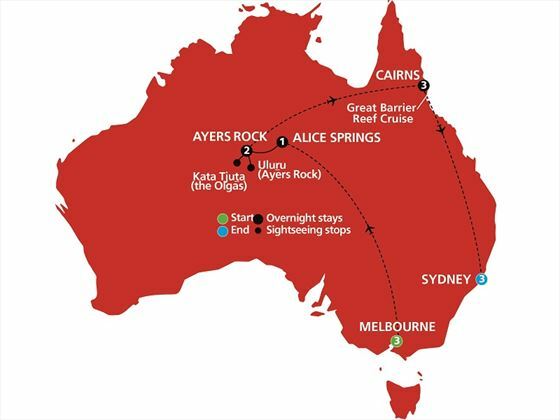 Journey through the West MacDonnell and James Ranges, pausing en-route to admire Mt Conner or Atila which is often mistaken for Uluru – you will then arrive at Ayers Rock Resort. The afternoon is free for you to enjoy the many facilities at the resort before making your way to the Uluru viewing area to watch the sunset cast various colours over Uluru itself, whilst enjoying canapés and wine. 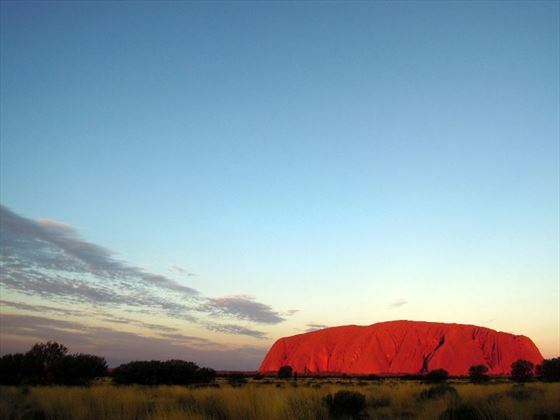 Witness Uluru at sunrise before touring the caves at the base and hearing stories of the Aboriginal Dreamtime. Afterwards, visit the Uluru Cultural Center. 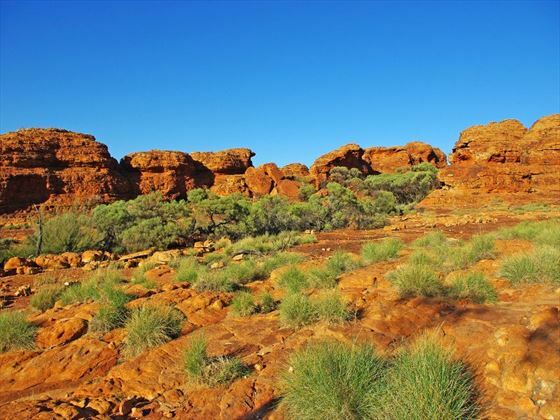 In the afternoon, travel through the desert plains to reach Kata Tjuta or The Olgas. 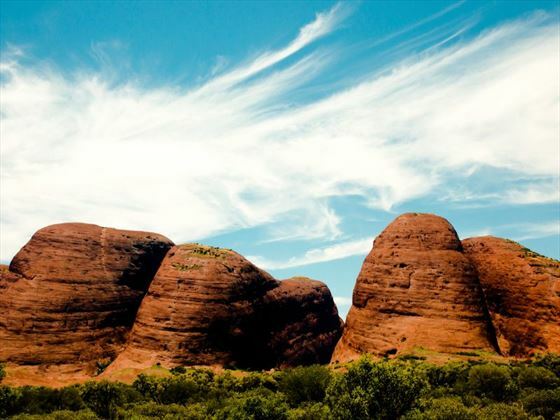 These 36 behemoth domes are astonishing – take a walk through the Walpa Gorge as you follow the natural creek bed between two of the tallest domes. Afterwards, enjoy sparkling wine and nibbles as you watch the sunset. In the morning, spend time with local Aboriginal artists with a fun dot painting workshop, learning about the Anangu culture and how this culture is expressed through artwork. You will have the opportunity to complete your own painting as a memento before flying to Cairns later on. Explore a local gallery and be introduced to the significance of art in Aboriginal culture before cruising on a high-speed catamaran to the Great Barrier Reef to view the colourful fish and coral from a semi-submersible vessel. Go snorkeling and enjoy a reef education presentation before dining on a tropical buffet lunch aboard the boat. You will return to Cairns later in the afternoon. Today can be spent at leisure making the most of Cairns. 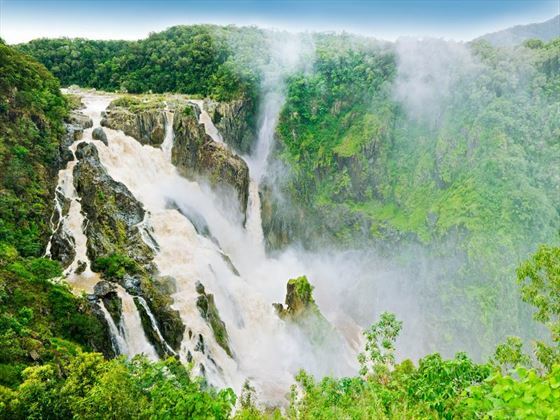 You may wish to join an optional experience to Kuranda, which includes a scenic railway journey and a ride on the Skyrail Cableway over the rainforest treetops. 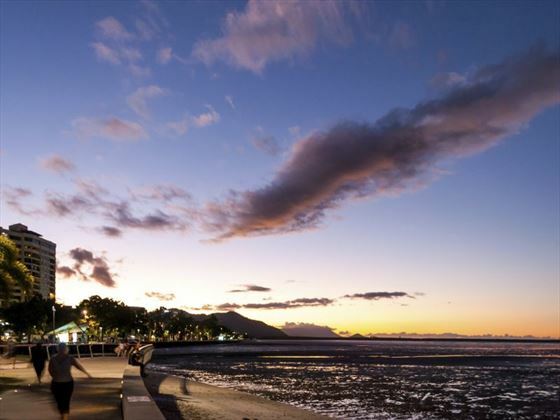 Visit the Cairns Wildlife Dome in the morning then transfer to the airport for your flight to Sydney. 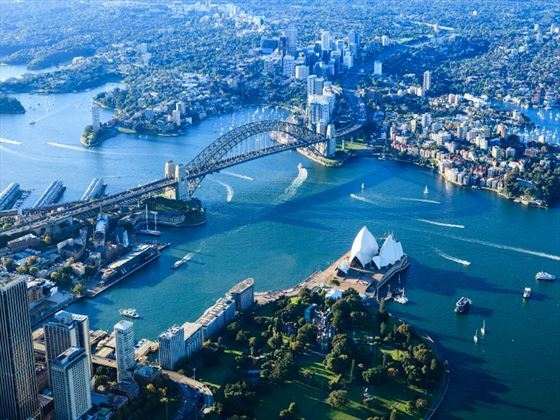 In the evening, spend some free time exploring the city – perhaps with a walk to Circular Quay to view the stunning panorama which includes the harbor. Prepare for sensational views this morning on the cliff-top coastal walk from Tamarama Beach which overlooks the Pacific Ocean. You’ll arrive at Bondi Beach where you can wander along the shore before embarking on a sightseeing tour of Sydney. 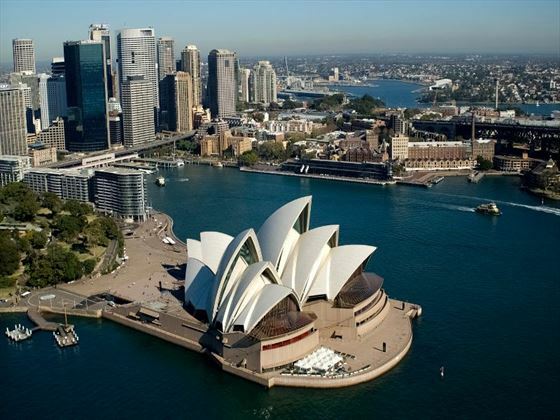 You’ll drive through the Royal Botanic Gardens to visit Mrs Macquarie’s Chair before joining a tour of the iconic Sydney Opera House with a local guide. End this spectacular day with a cruise on Sydney harbor. Spend some more time exploring Sydney today at leisure – make the most of you time here with an optional trip to the picturesque Blue Mountains. In the evening, enjoy a farewell dinner to celebrate your trip. Enjoy breakfast at the hotel before making your way to the airport for your departing flight.